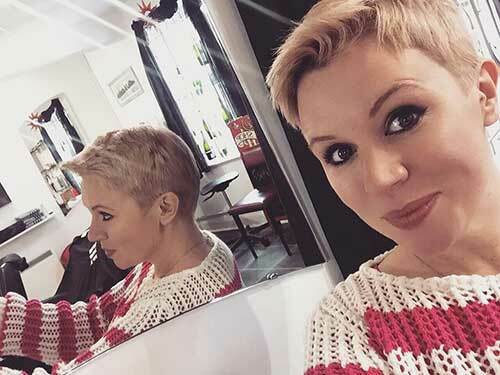 Looking for a stylish pixie cut? 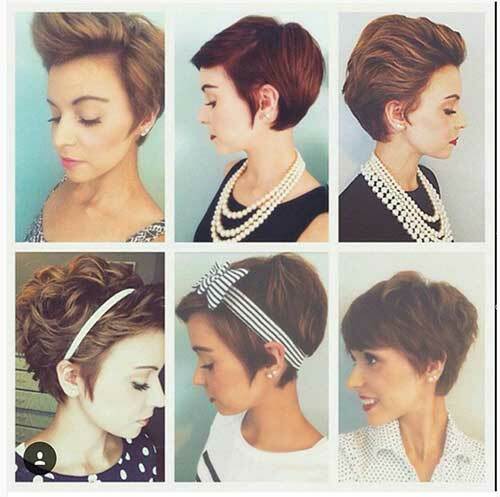 We represent you the best images of 25 Gorgeous Pixie Cut Styles You Must See, take a look at our gallery and be inspired! 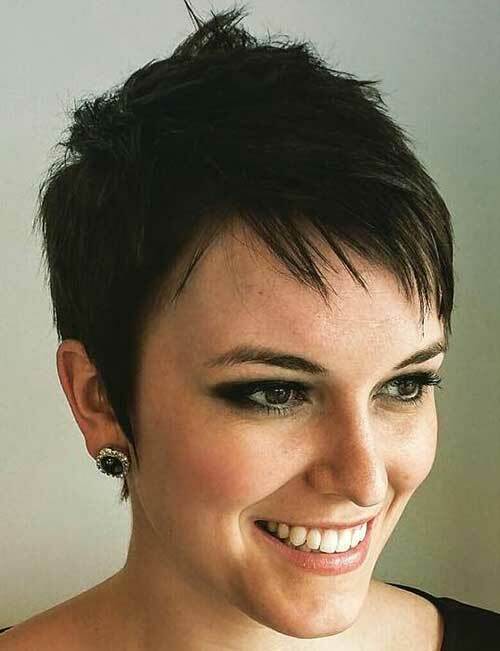 Pixie cuts with wispy bangs and spiky style is always a good idea to update your style. 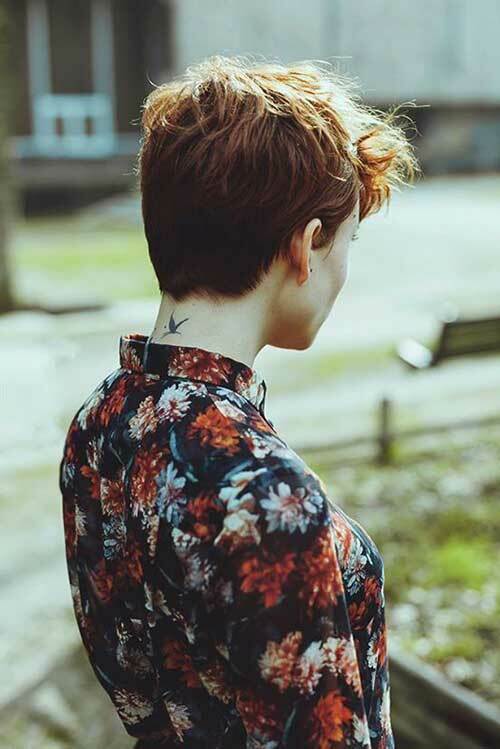 Jamie Alexander sports voluminous wavy pixie style that flatters her facial features nicely. 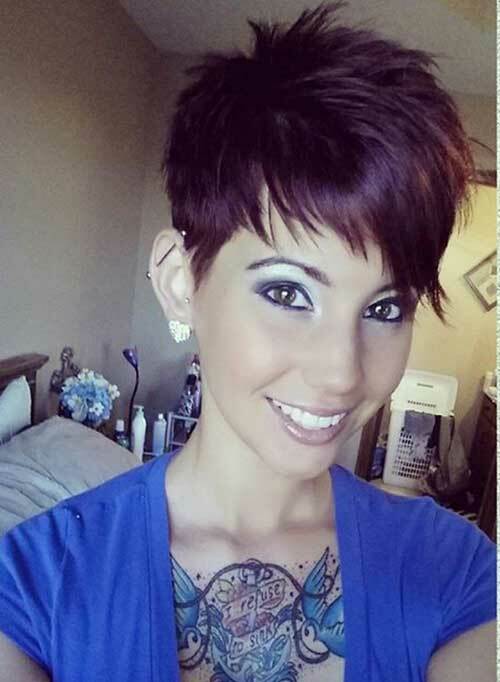 This pixie cut with blonde highlights definitely fits Ruby Rose’s masculine style. 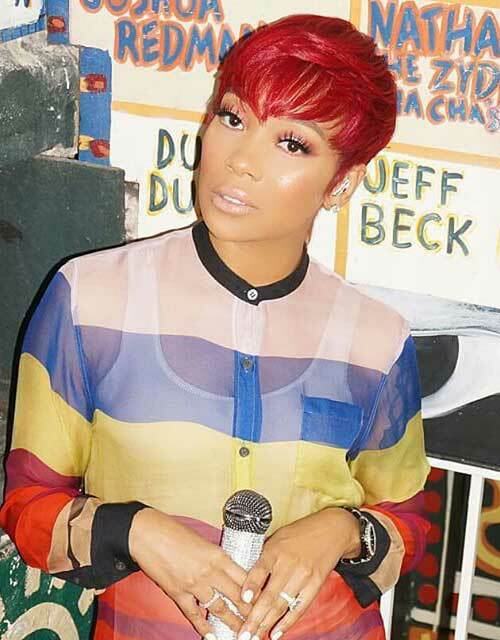 Black women generally look great with dark red hair colors and pixie cuts. 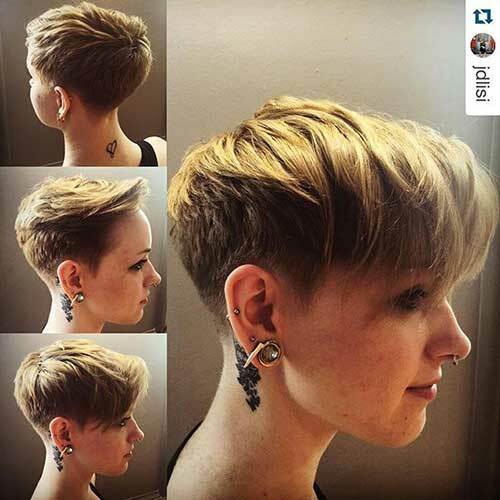 Tapered pixie style with blonde hair color, layers and bangs looks really stylish and chic. 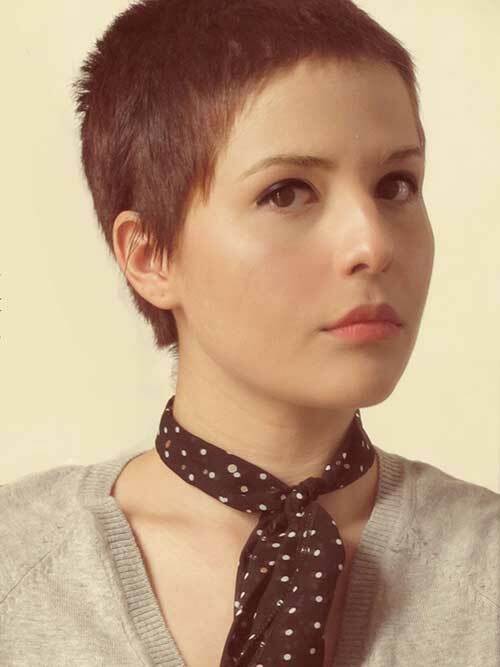 Asymmetrical pixie styles will definitely emphasize your facial features like cheekbones or eyes. 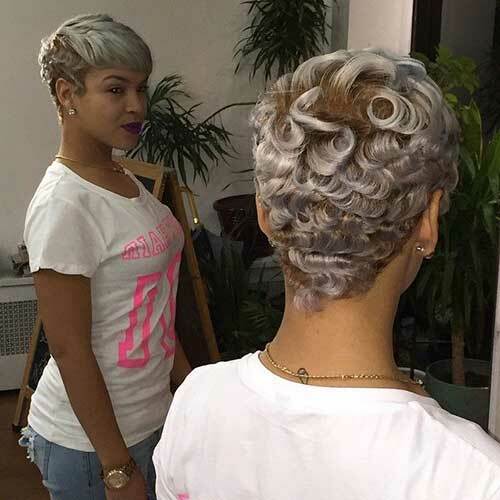 This curly pixie style that is colored with gray hair color may be a nice inspiration for black ladies. Miley Cryrus gives a huge inspiration to girls with her undercut pixie style. 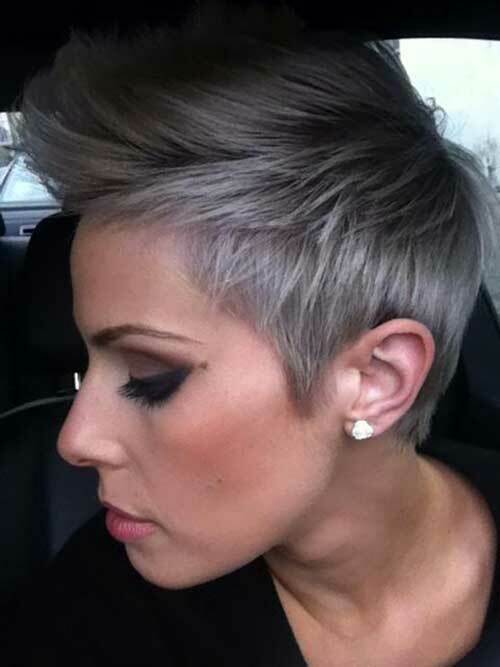 Gray hair color, voluminous hair on top look really chic and modern that can flatter oval faces. 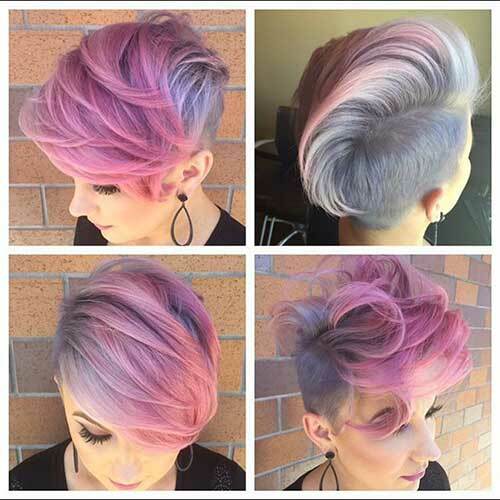 One side pink and the other side is gray colored, this pixie is eye-catching and cool! 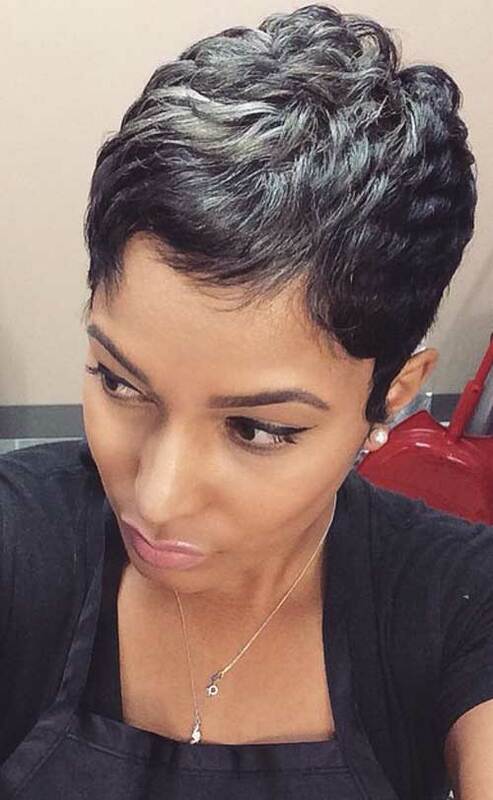 Super short hairstyles are easiest way to sport a curly hairstyle for black women. Her selfie show that she sports really nice blonde colored short hairstyle with shorted sides. 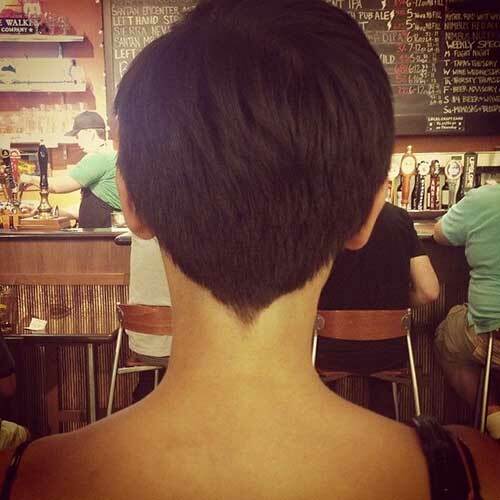 Back view of a modern short haircut is as important as the frontal view, layers show off themselves at the back of the head. Rihanna’s iconic dark pixie cut with side swept long bangs is a great inspiration for women all around the world. 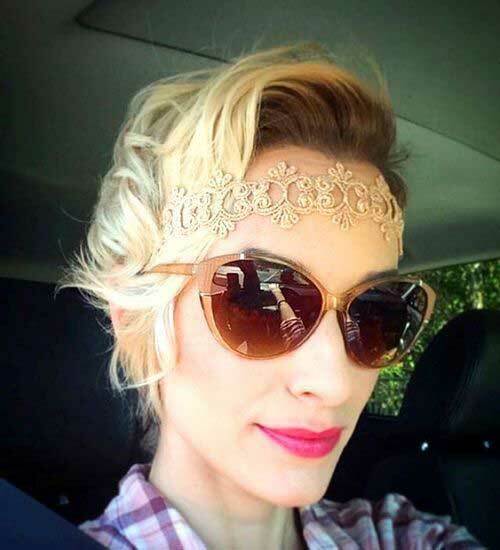 Hair accessories will give this blonde long pixie a nice and stylish look. 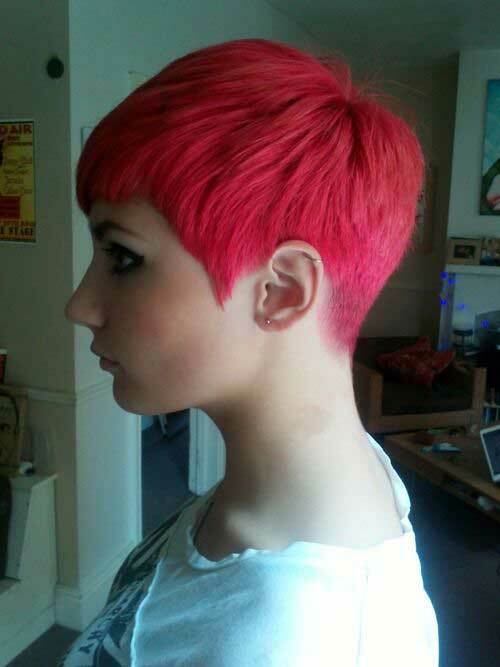 Lastly we will represent you boyish simple pixie cut for brunette women with thin hair.